London. New York. (14 November, 2018): The ‘Influencer Marketing 2020’ report, published today by Influencer Intelligence in association with Econsultancy, found that for approximately 6 in 10 of the digital marketers surveyed, the purpose influencer marketing serves for their business has changed drastically in the last 12 months, with 56% claiming the younger generation of consumers is proving the biggest driver of change. The report, which stems from a survey of 1,173 marketers and separately, 500 consumers, found that digital natives have come to more firmly reject the way that influencer marketing has been conducted in recent years, and are instead demanding higher levels of authenticity and relevance from the content they consume and brands they trust. It is not surprising therefore that close to 70% of marketers say that authenticity and transparency is key to influencer marketing success. In fact, 90% of industry respondents say that brands need to take authenticity and transparency more seriously, for it to be sustainable over the long term. Consumer attitudes are similar, with 61% expressing a preference for influencers who create authentic, engaging content. Experts interviewed for this report stressed the need for due diligence in selecting an influencer to work with, to ensure they are not only a credible match for the brand and their audience, but also the campaign in question. Contract terms are also changing to reflect the gradual rise in longer-term, organic and more meaningful partnerships that are being forged between brands and influencers. The study found that micro-influencers, or those with less than 100,000 followers, continue to be in high demand. The matter of relatability and trust is what makes this segment more appealing with 61% of consumers surveyed saying they relate better to the content produced by micro influencers. Moreover, Industry experts agree unanimously (100%) with consumers on the importance of collaborating with influencers whose following is relevant to the brand. Three quarters of industry respondents say influencers should already be a fan of the brand, for example, to prove their relevance. Findings from the report underscore the shifting digital media landscape as social influencers and niche, emerging talent attach itself to the traditional celebrity endorsement space, not because of their fame or followers but purely for the influence they command online – changing the rules of engagement as we know it. 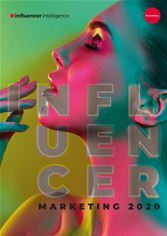 The most comprehensive of its kind on the topic, the research report was released today by Influencer Intelligence, the leading influencer and celebrity engagement platform, in association with Econsultancy. The report explores how the influencer marketing landscape has evolved in 2018 and looks at how well collaborations are currently being executed. As the title of the report suggests, it also considers the future of influencer marketing, and the challenges and capabilities that must be addressed for it to be sustainable. There were 1,173 marketing specialists who responded to the research request this year, which took the form of an online survey. Respondents included inhouse brand marketers, agencies, consultants and influencer talent, across a broad range of industry sectors. In addition, 500 consumers aged 18 to 34 years were surveyed, in the UK and the US, to gauge their attitudes and perceptions of digital influencers. Detailed breakdowns of the respondent profiles are included in the Appendix of the report. The report features qualitative interviews from a wide range of industry experts including brands, agencies, influencers and consultants. Interviews were carried out over the phone in August and September 2018. Influencer Intelligence is a powerful data intelligence tool that combines the knowledge and insights marketers need to deliver a successful influencer and celebrity marketing strategy. From emerging talent to mainstream tastemakers, Influencer Intelligence helps businesses worldwide to discover and connect with only the most relevant talent.